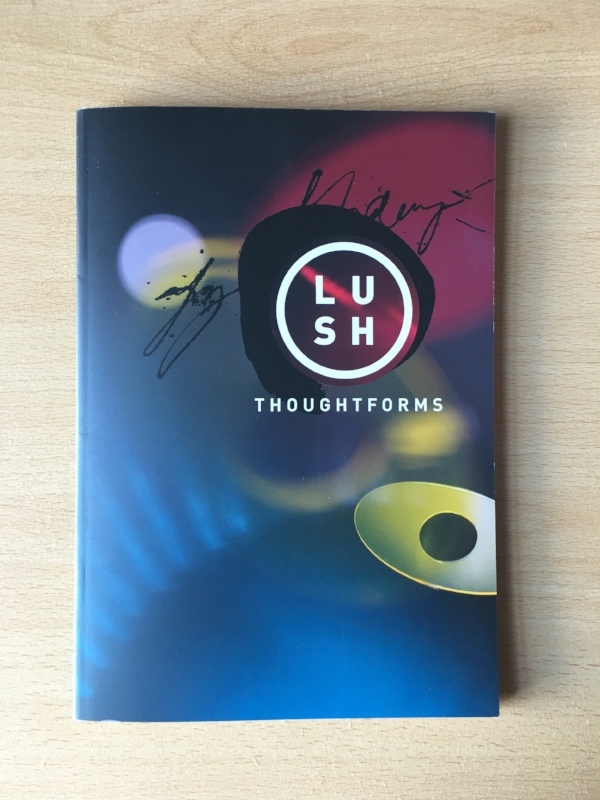 I had thought that this post would be the only thing I wrote about Lush reforming. I should have known better because when something that meant so much to you returns to your life suddenly out of the blue, and after such a long time, a lot of emotions are going to be stirred. Lush are a band to hold your breath to. The rather fantastic maga(fan)zine, Thoughtforms, is filled with wonderfully thoughtful interviews with the main players, both then and now. 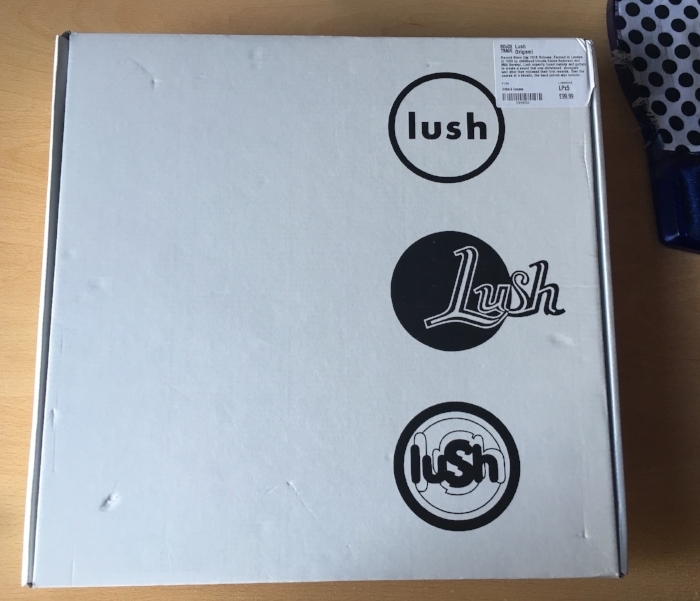 Now, as a fan, many years later, I feel rather glad – smug, even – that I fell in love with Lush and not some of the other bands around at that time (who I liked, sure, but didn’t love). The reason, which I didn’t appreciate then but is obvious now, is that there were many elements that went into making Lush a great band. It wasn’t only the fantastic music: it was the great sleeves, the glorious b-sides. It was a number of people pulling in (mostly) one direction because they believed in the music and the people, all of which contributed to ‘Lush’ the entity. This got me thinking about creative endeavour in general. One can often feel ‘why am I doing this? Who is actually listening’? In fact, regardless of who is listening now, it’s about creating something that you can be proud of and, that others want to invest their time and energy and effort in and, hopefully, their money, too. However, nobody can perfectly predict what will stand the test of time and trying to second-guess and create something that will is not the right way to go. However, one works hard, with care and with love, and encourage others to share that passion, there is a chance that the work will mean something to people, and will continue to do so for a very long time.